[December, 2018] I re-tasted this dram tonight and I do not find the bitter-drying moments that I encountered in my first tasting session. Most probably because I am well-rested and slept long last night. When you are tired and stressed your tastes are in an alert mode and signal bitter or other potential dangerous tastes much stronger to the (stressed) brain than usual to prevent eating something dangerous. Keep this in mind when you taste bitter or astringent drams - maybe they are great but you are exhausted (simply check them again when you are rested). Tonight I score this dram a little higher at 89 but I leave the detailed notes below as they were with the first impression. The taste is both sherry and wood driven that dominate somewhat the malt flavours. Hence it is a little unbalanced and I guess this dram might have been better bottled somewhat earlier. Nevertheless a clean and enjoyable taste, for sure and I think bourbon lovers (like Jim Murray) will like this taste much more - I prefer both less tannins and less vanilla. Water smoothes the dram and makes it more approachable, I like it best when reduced to about 50% abv. The initial mouthfeel is warming, (just a little) coating and a little peppery without any bitter or drying moments. The finish is of medium length and adds more spices that again are a little too much (for my taste). There is a slight bitter moment from the tannins towards the end that is not distracting. Somewhat marred by the nose, this whisky comes alive in the mouth (and the finish is not shabby either). 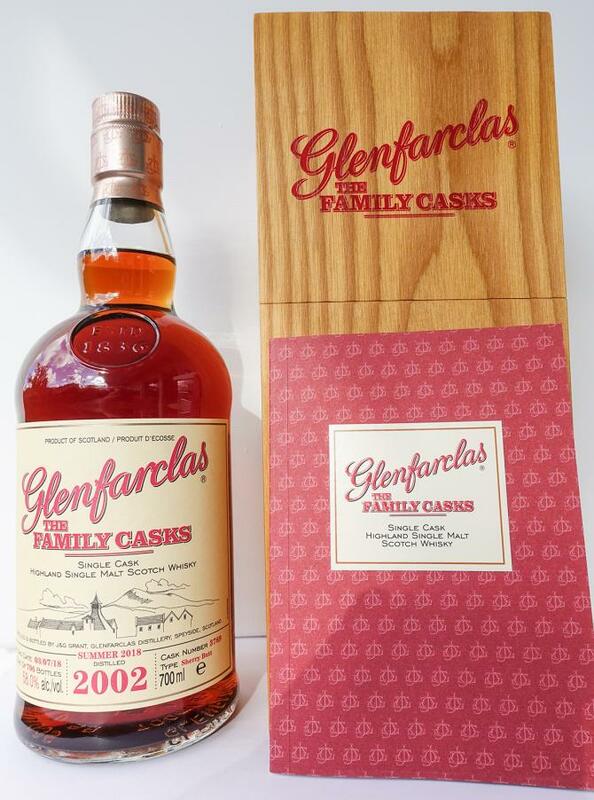 gloriously soft and sherried - best palate of the Release 18 Family casks I have tasted. A great balance. medium; no real additional features from the taste, maybe some additional herbs but it delivers a good followthrough after the palate. wonderful wonderful deep color; These are only found in some Family Casks, but unfortunately not in the entire Core Range up to and including 25 years. Raisins, sherry, marzipan, honey, caramel, vanilla. very pleasant, no false notes, very strong, looks significantly older than 16 years, tolerates a lot of water; wonderful creamy mouthfeel, sweetness, vanilla, sherry, raisins, on the finish pleasant, very light espresso notes / dark chocolate. Conclusion: Great GF Family Casks, even better than older ones. For the current price of 130-140 euros a clear buy recommendation. Similar to the even better bottling 2002/2017, which is even more intense in scent and taste. 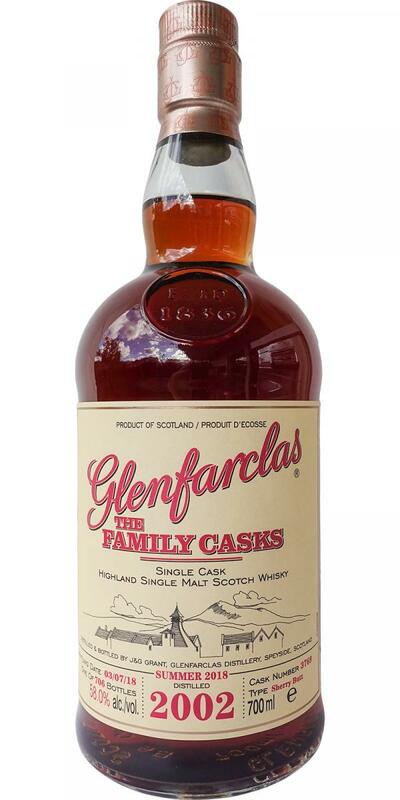 Excellent strong, sherry keg-matured, sweet-spicy and well-balanced single malt. Adding water does him good, beautiful aromas are released. A special filling. For his young age a very good GF Cask, has a balance between fruit and bitterness, looks much more mature.